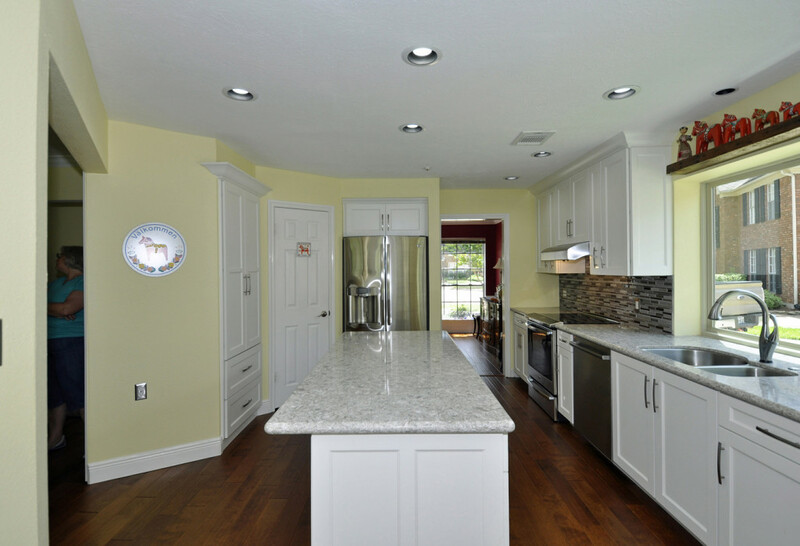 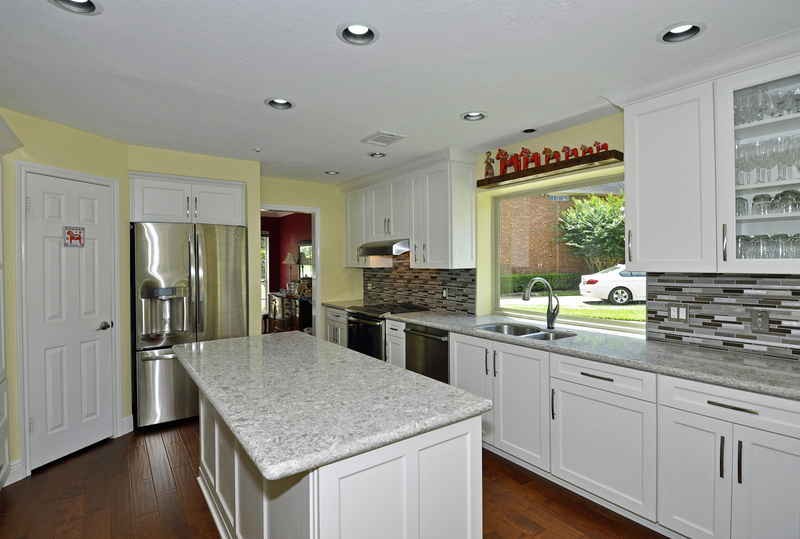 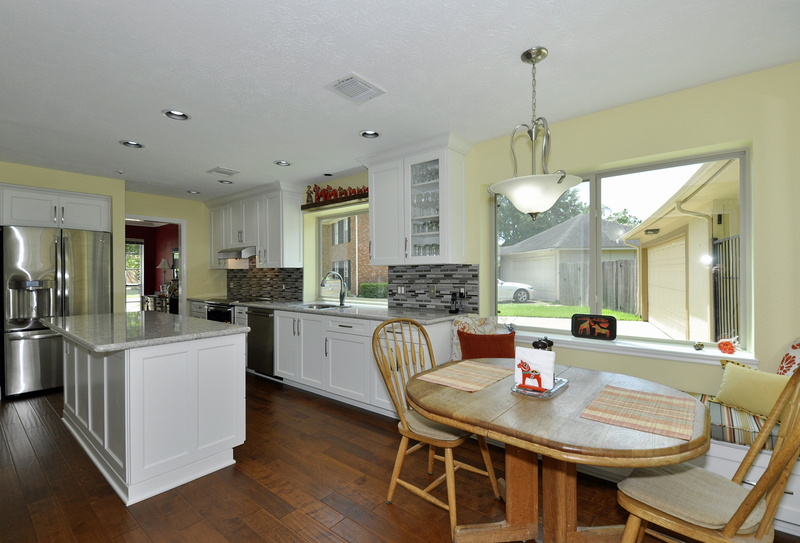 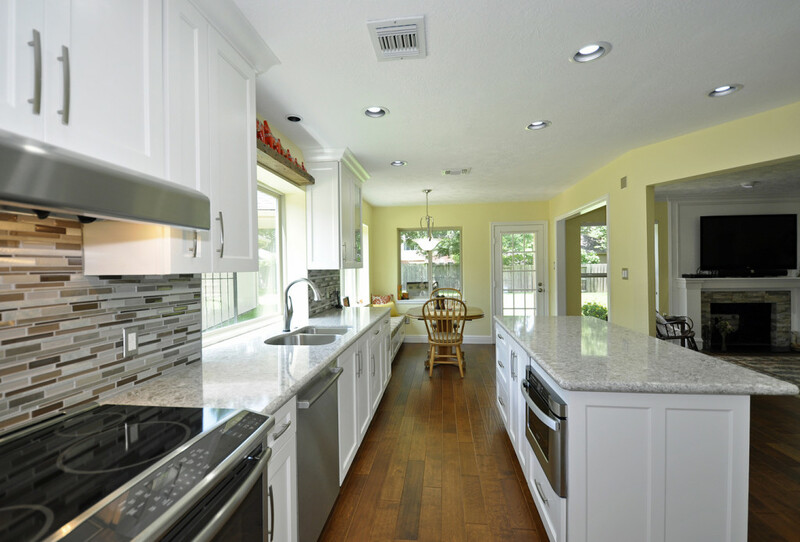 Classic combines with contemporary in this transitional kitchen. 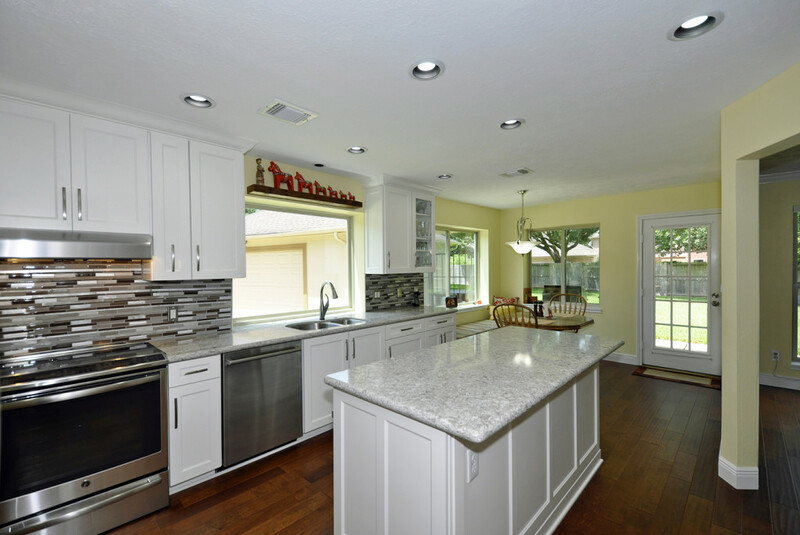 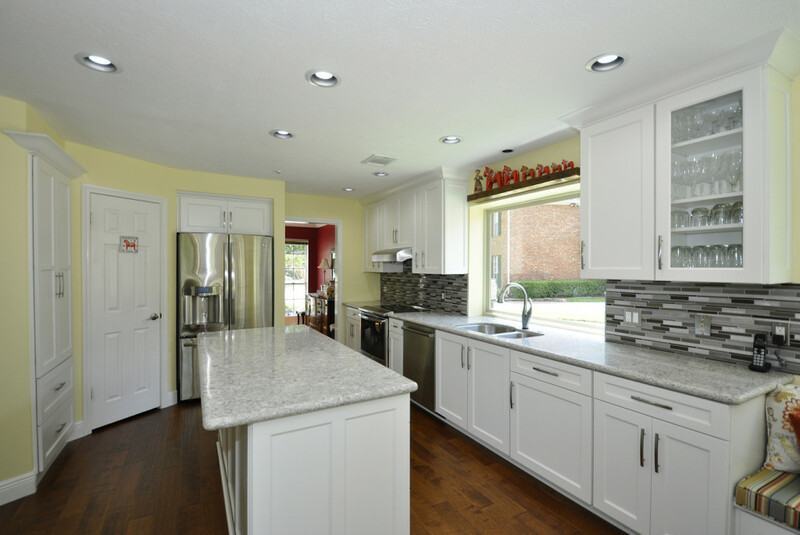 Everything was removed in the kitchen, including a furr down above the cabinets, a small closet and base cabinets that separated the kitchen from the family room. 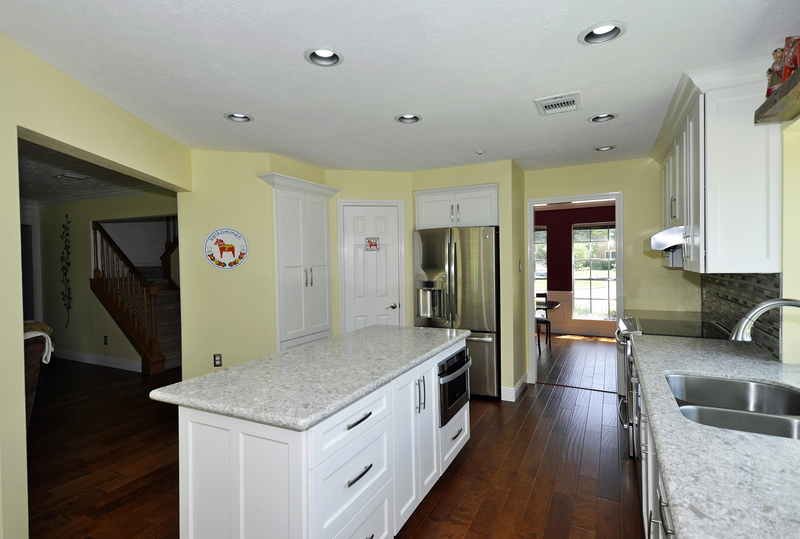 After the furr down was removed, it was discovered that the plumbing lines needed to be relocated. 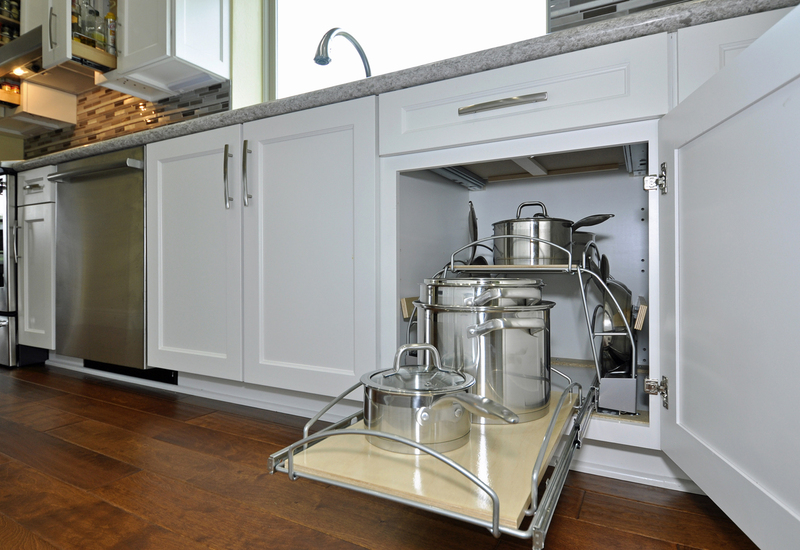 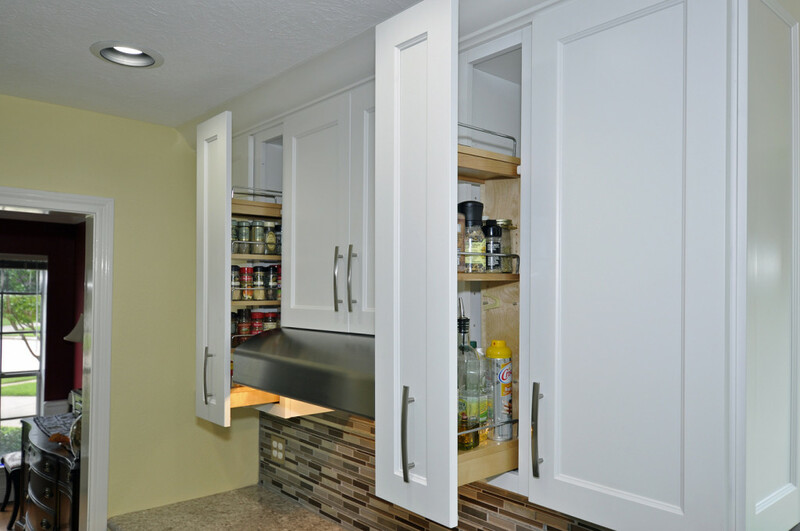 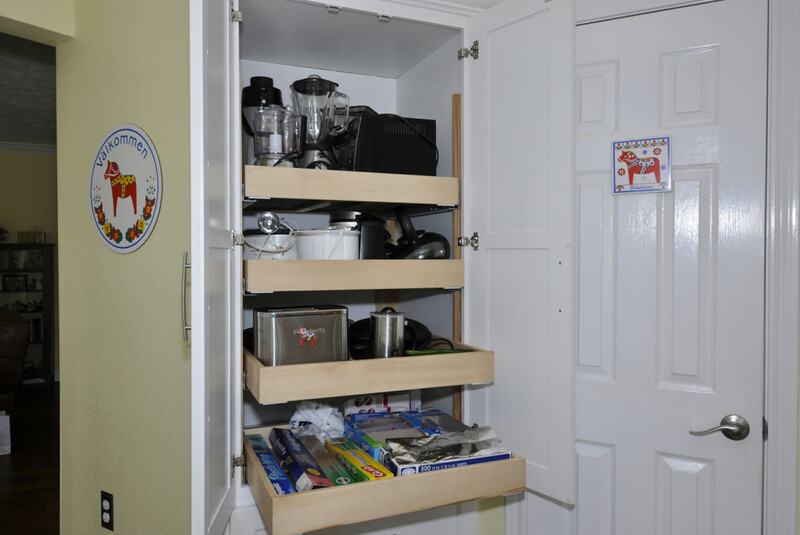 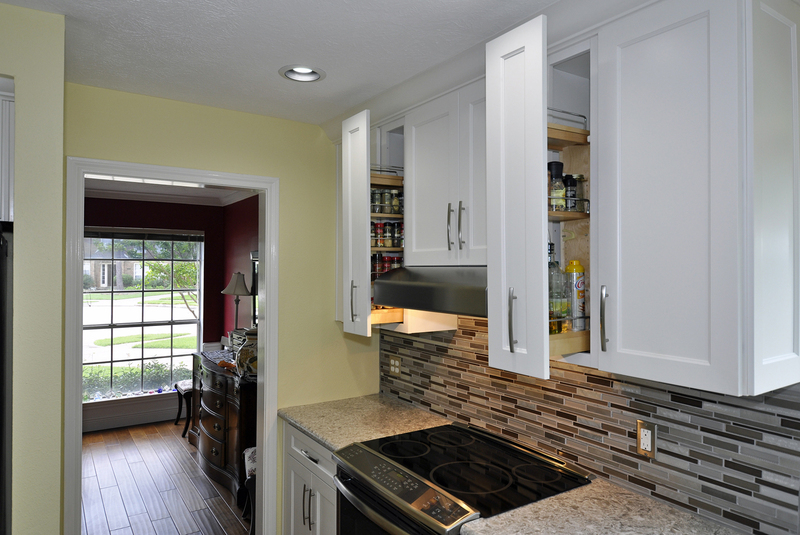 The new cabinetry includes many new space saving features with very useful storage units. Silestone countertops combined with glass mosaic backsplash create sleek design and high function for homeowners who like to cook! 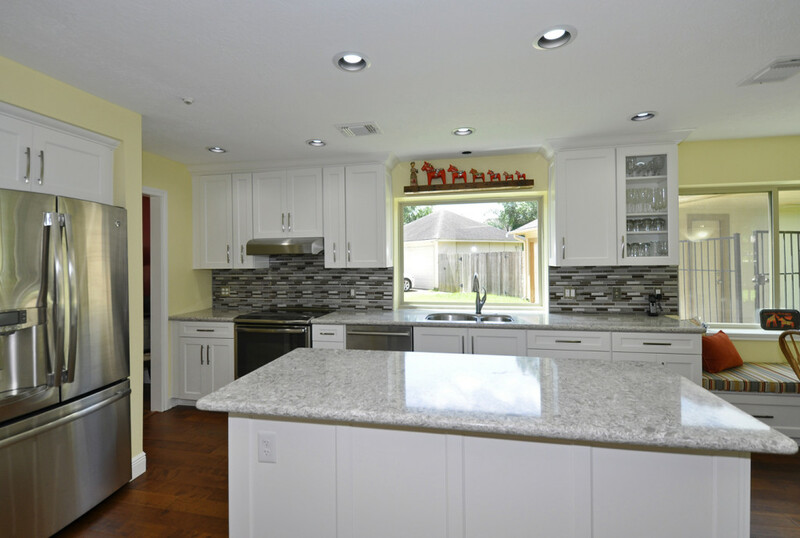 Notice that the double oven was removed and replaced with new cabinetry that included roll out trays. 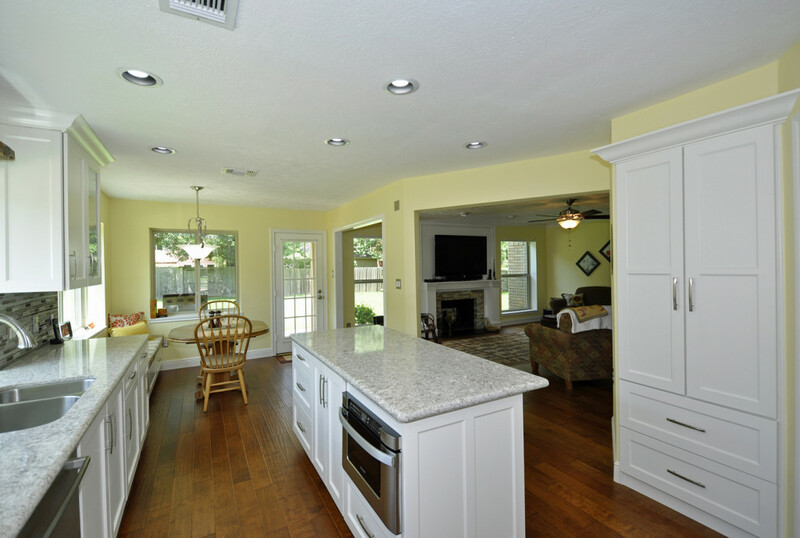 The new free standing stove with oven was the right answer. 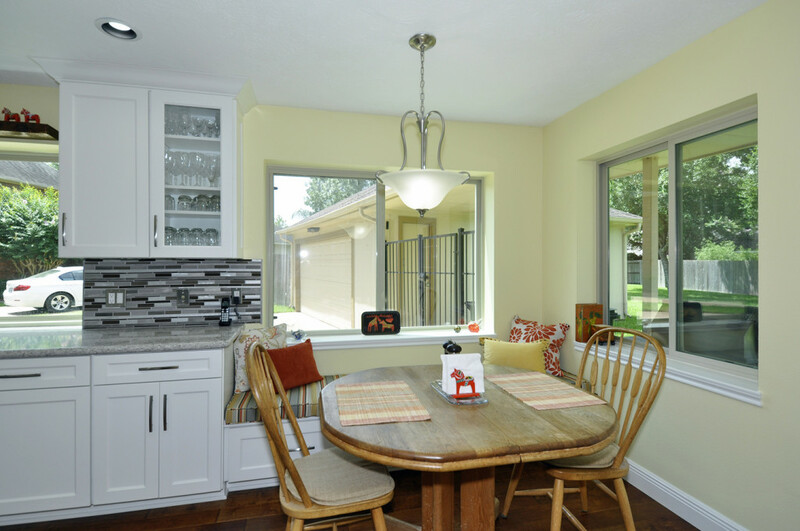 New double paned sliding windows in the breakfast room and new picture window over the sink let the light in while keeping the heat and cold out! 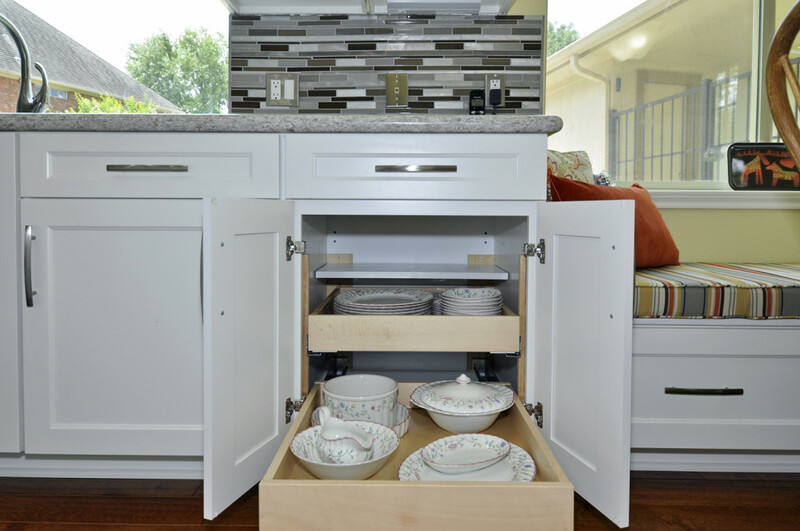 New cabinetry under the breakfast windows add space saving seating and added storage.